We really found some great stuff this week, my favorite being the record pictured above. I’m absolutely in love with the graphics and the color scheme and I decided that next time I redesign my blog it will be based on this. 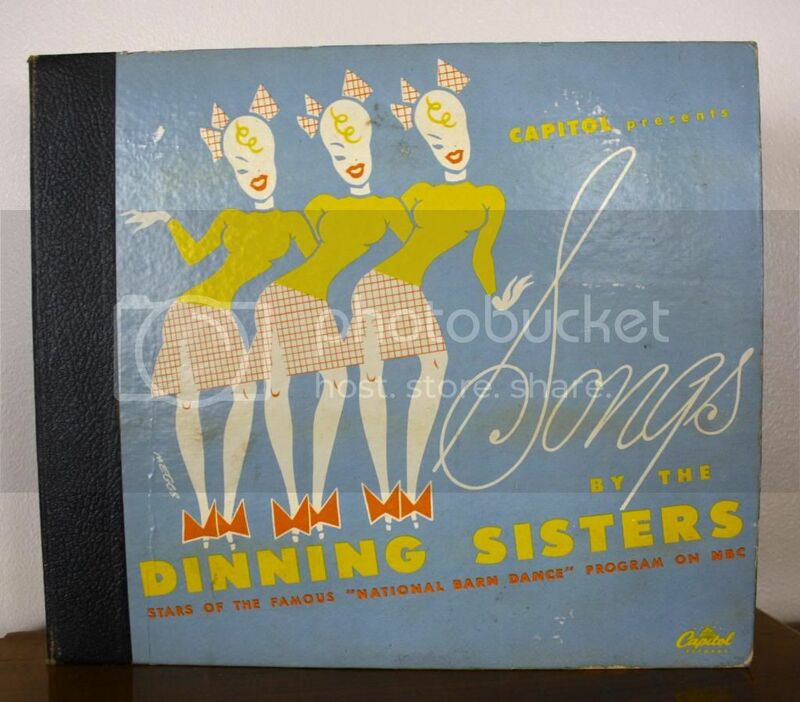 I had never heard of the Dinning Sisters before finding the record and I have to say I purchased it based on looks alone, but I was pleasantly surprised when I gave it a listen- the music is completely adorable too! 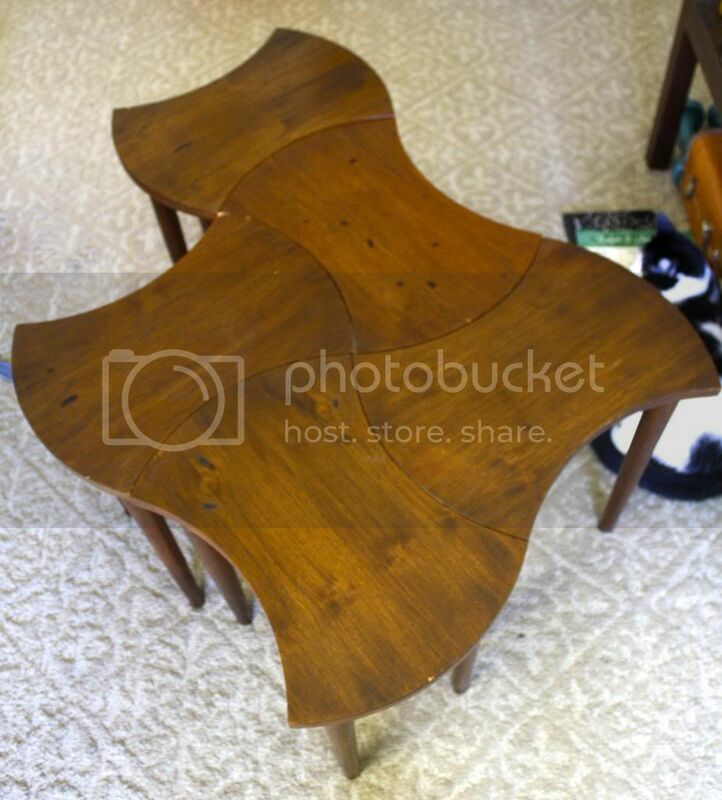 Another one of our great finds of the week was this set of interconnecting tables from a local estate sale. If only we had one more! I would be happy to make these our new coffee table. We found these music sheets at the same estate sale. The owl one is perfect for our new Halloween display! 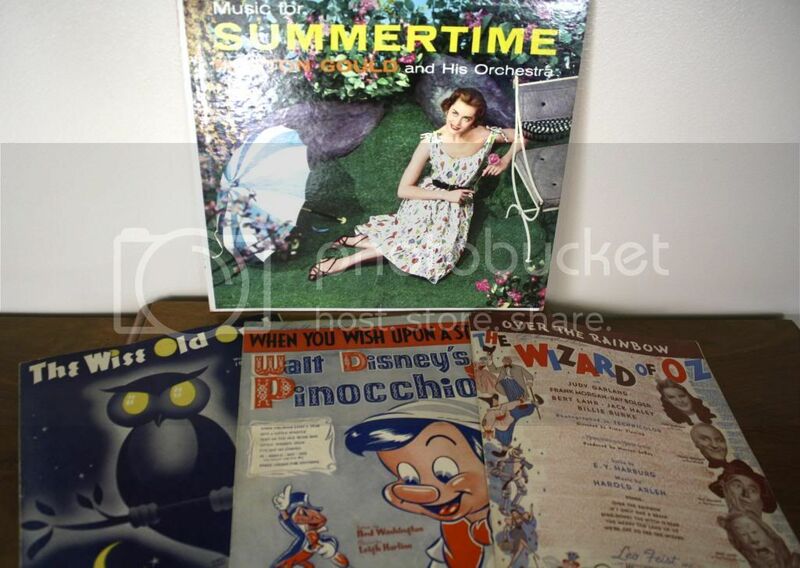 The “Music for Summertime” record is from a thrift store too. 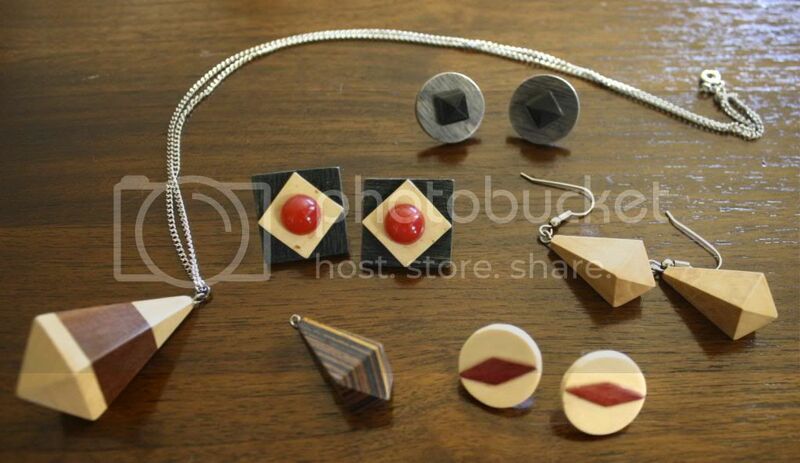 This cool wooden jewelry was another find at the estate sale. Apparently the man who passed away made all of it by hand out of different exotic woods. I love the very mid-century style and the price was great, so I loaded up! I even went back and got some more pieces on Sunday when it was half off. I might list some in my Etsy shop if anyone is interested. 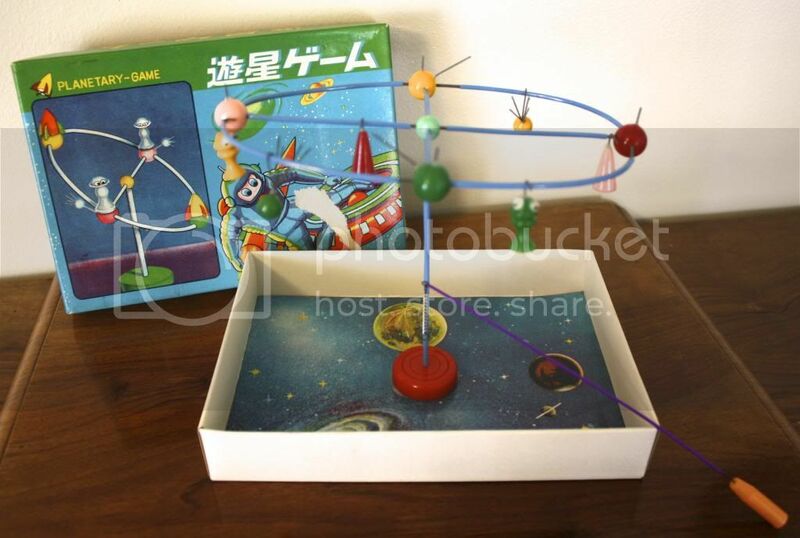 Phillip picked up this interesting Japanese game. Too bad we have no idea what the instructions say! 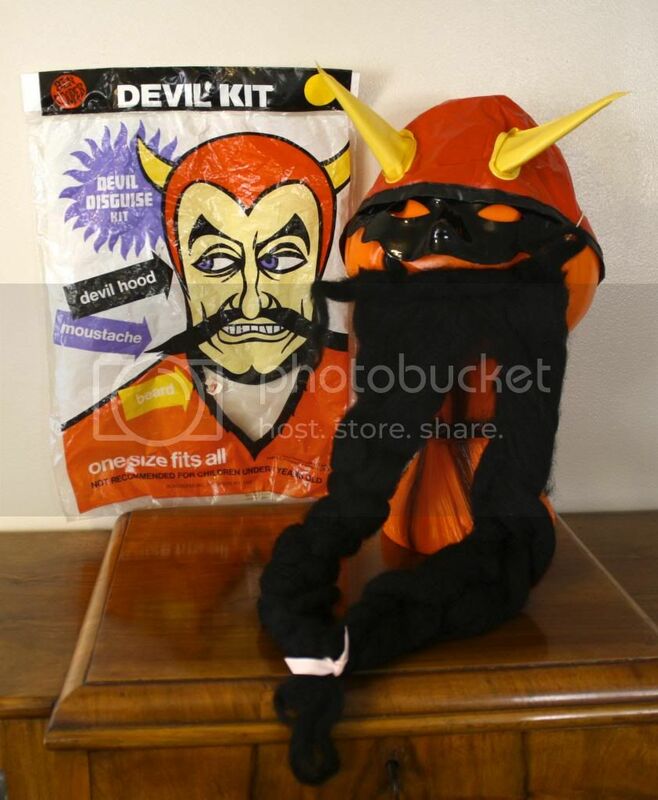 We picked up this devil costume kit at the thrift store. It looks great on our pumpkin man, no? 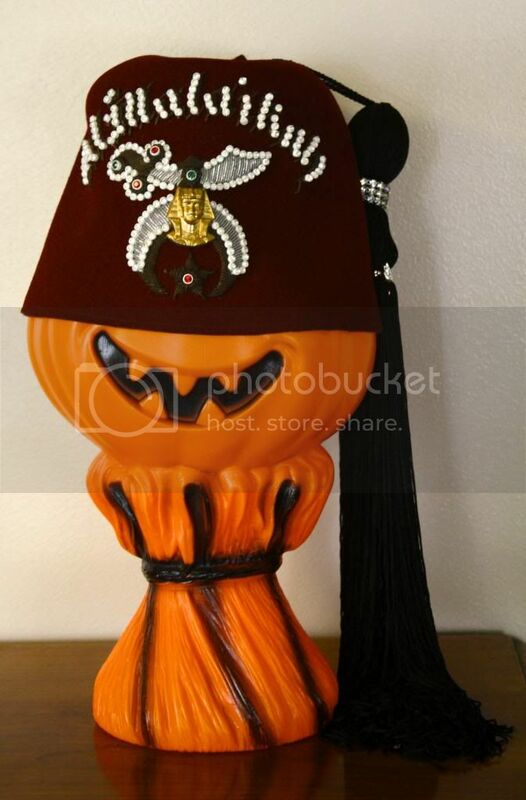 And this fez was a find from a yard sale we went to after the estate sale. Did anyone else go thrifting this week? Find anything amazing? ← Etsy Shop Update: Lots of Fun New Vintage Patterns!